Net Wt. 192 ml / 6.5 fl oz. 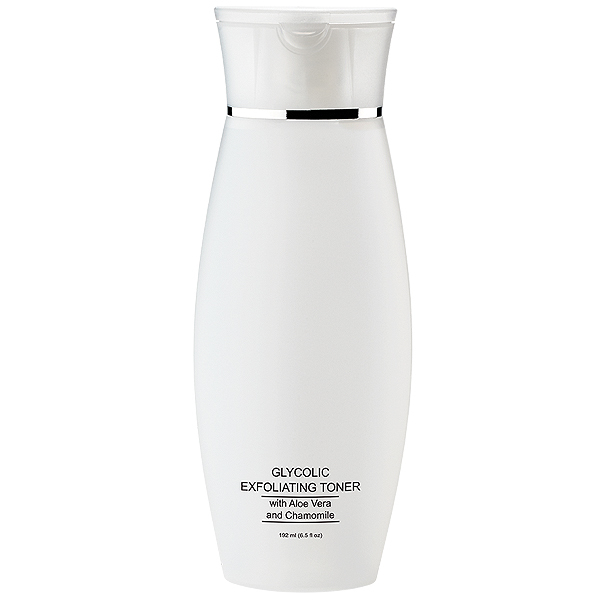 This gentle exfoliating toner helps remove excess dirt, oil, and sebum while sloughing away dead skin cells. Helps minimize the appearance of fine lines and pores revealing a brighter, smoother complexion. Also available in trial and bulk sizes. 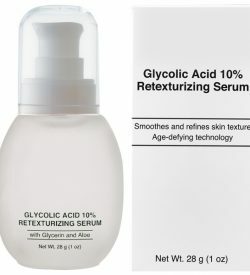 Glycolic Acid reduces the appearance of fine lines and wrinkles with prolonged use. Chamomile is an anti-inflammatory that soothes and clams. Water (Aqua), Glycolic Acid, Propylene Glycol, Methyl Gluceth-20, Polysorbate 20, Alcohol Denat., Lactic Acid, Sodium Borate, Chamomilla Recutita (Matricaria) Flower Extract, Aloe Barbadensis Leaf Juice, Allantoin, Magnesium Ascorbyl Phosphate, Hamamelis Virginiana (Witch Hazel) Water, Citric Acid, Sodium PCA, Salicylic Acid, Caprylyl Glycol, Alcohol, Fragrance (Parfum), Phenoxyethanol, Ethylhexylglycerin, Potassium Sorbate, Sodium Benzoate, t-Butyl Alcohol, Brucine Sulfate, Limonene, Linalool.